Description: Turn your dream date into reality by gifting this Supple One of Favorite Things Gift Basket when you are together and see the glow on your lovers face. 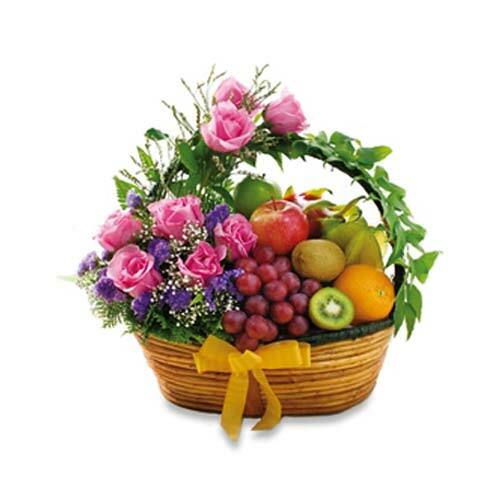 This amazing Gift Hamper is brimming with various Fruits adorned with Yellow Lilies, Roses and Gerbera. Make your evenings with friends and family more special with this Gorgeous Sunset Memories Bunch that brings liveliness and refreshment to your mood. 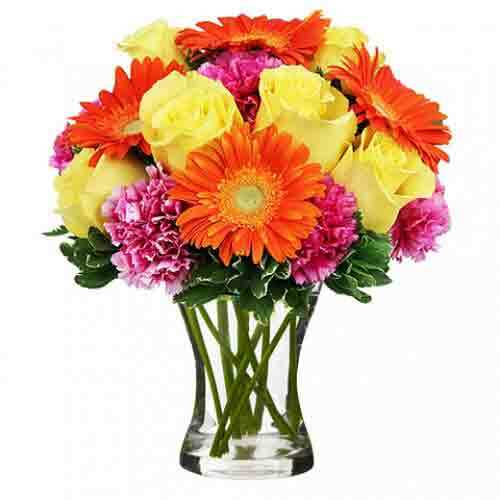 Celebrate any occasion with this bright and beautiful Bouquet of 5 Stalks Orange Gerbera, 8 Stalks Yellow Roses, 8 Stalks Purple Carnation and Tea Leaves. 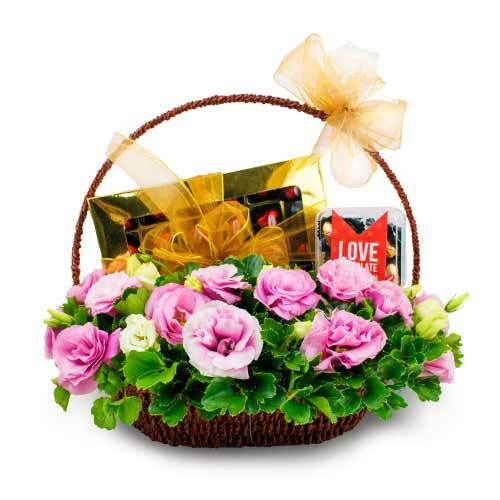 This basket includes:- 2 boxes of 16pcs of Ferrero Rochers with carnations. 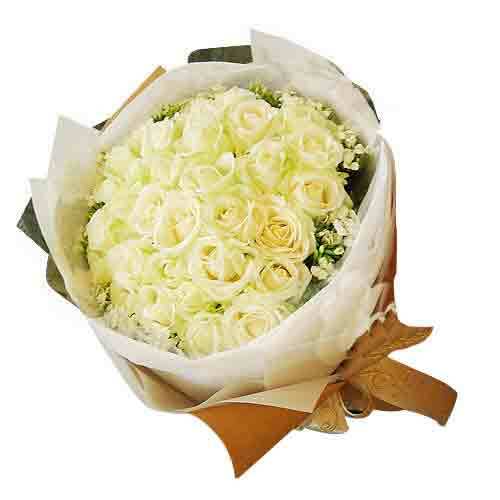 Turn their sadness into happiness with this special arrangement in 99 Stalk cream roses. 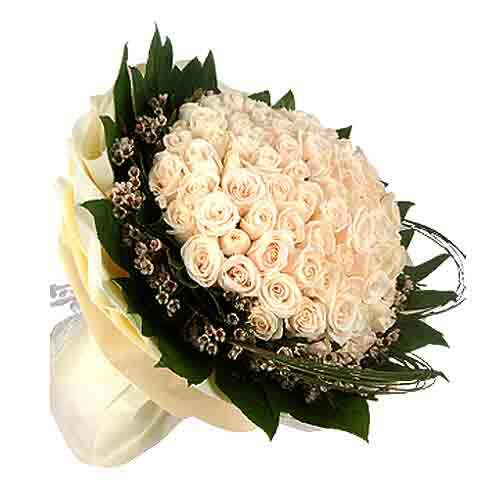 This Bouquet is nicely arranged with seasonal greens and decorated with paper. 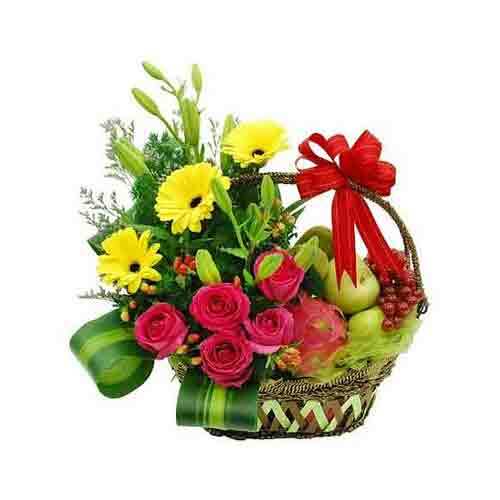 Pretty gift for a pretty person as this Ornamental Color Intensity Luxury Bouquet will convey your message how beautiful the person is to whom you gift it. 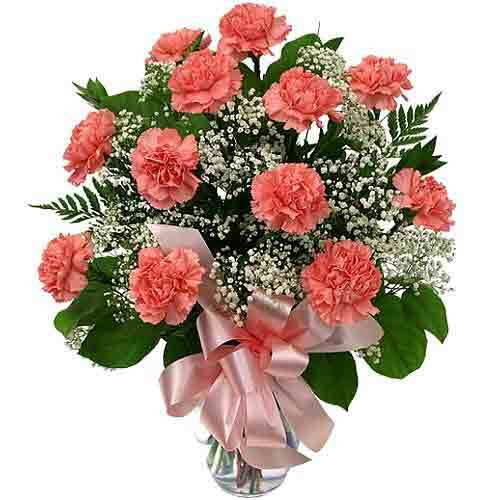 We have combined our customer�s favorite Flowers which include Twenty Stalks of Pink Carnations, Baby Breaths, Ruscus and Tea Leaves.